Production is in full swing on the Michigan sets of Batman v Superman. Set photos promise something exciting taking place at the supposed LexCorp headquarters. 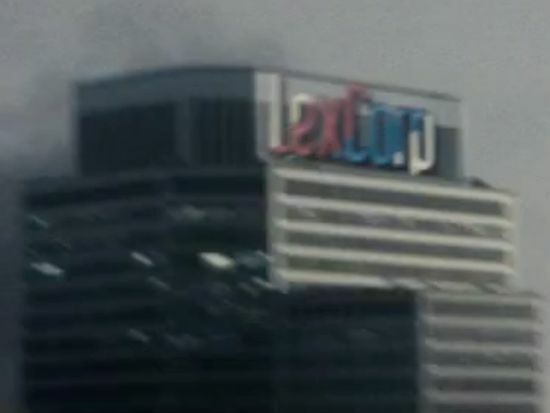 Most believe that this building will be a stand in for LexCorp, which is alledgedly going to be a start-up company, but the ‘X’ design on the building would be a lot different than what we saw in Man of Steel. Another possibility is that Lex will start a new company as an off-shoot of LexCorp which is run by his father, Lionel Luthor. Earlier in the week, there were reports of a roll call for a large military scene for the film, and now we know part of that casting call may have been for these scenes around the LexCorp building. Also spotted this week: Amy Adams touching down in Detroit! She, of course, will reprise her role as Lois Lane, but no details on what exactly she will do in the film. Will she be the object of Bruce’s eye or will she and Clark still be an item? Batman v Superman: Dawn of Justice is being directed by Zack Snyder. It’s written by Chris Terrio, from a screenplay by David S. Goyer. The film stars: Henry Cavill as Superman/Clark Kent and Ben Affleck as Batman/Bruce Wayne. The cast also includes: Adams as Lois Lane, Laurence Fishburne as Perry White, Diane Lane as Martha Kent, Jesse Eisenberg as Lex Luthor, Ray Fisher as Cyborg andGal Gadot as Wonder Woman/Diana Prince. Will arrive in theaters May 6, 2016.